Despite recognition of rising prevalence and significant burden, migraine remains underestimated, underdiagnosed, and undertreated. This is especially true among groups who have been historically, socially, and economically marginalized such as communities of color, women, people experiencing poverty, people with lower levels of education, and people who hold more than one of these marginalized identities. While there is growing public and professional interest in disparities in migraine prevalence, there is a paucity of research focusing on racial/ethnic and socioeconomic disparities, and the social and structural determinants of health and equity that perpetuate these disparities. From a health equity perspective, migraine research and treatment require an examination not only of biological and behavioral factors, but of these identities and underlying, intersecting social and structural determinants of health. Significant disparities in migraine incidence, prevalence, migraine-related pain and disability, access to care, and quality of care persist among marginalized and underserved groups: African Americans, Hispanics, people experiencing poverty, un- or under-employment, the un- and under-insured, people who have been exposed to stressful and traumatic events across the lifespan, and people experiencing multiple, overlapping marginalized identities. These same groups are largely underrepresented in migraine research, despite bearing disproportionate burden. Current approaches to understanding health disparities in migraine largely assume an essentializing approach, i.e., documenting differences between single identity groups—e.g., race or income or education level—rather than considering the mechanisms of disparities: the social and structural determinants of health. While disparities in migraine are becoming more widely acknowledged, we assert that migraine is more aptly understood as a health equity issue, that is, a condition in which many of the health disparities are avoidable. It is important in research and clinical practice to consider perspectives that incorporate a cultural understanding of racial, ethnic, and socioeconomic identity within and across all levels of society. 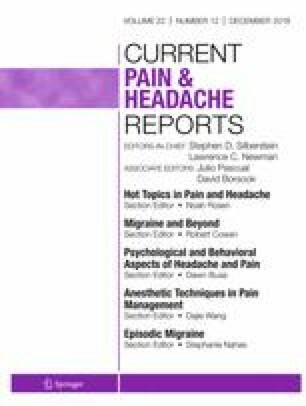 Incorporating perspectives of intersectionality provides a strong foundation for understanding the role of these complex combination of factors on migraine pain and treatment. We urge the adoption of intersectional and systems perspectives in research, clinical practice, and policy to examine (1) interplay of race, gender, and social location as key factors in understanding, diagnosing, and treating migraine, and (2) the complex configurations of social and structural determinants of health that interact to produce health inequities in migraine care. An intentional research and clinical focus on these factors stands to improve how migraine is identified, documented, and treated among marginalized populations. The authors gratefully acknowledge Dr. Shawn Kneipp, Dr. Kristen Hassmiller Lich, Dr. Janet Bettger, and Dr. Janice Humphreys for their thoughtful and insightful contributions to the development of concepts in this manuscript. Deanna R. Befus, Megan Bennett Irby, Remy R. Coeytaux, and Donald B Penzien declare no conflict of interest. United States Department of Health and Human Services. Health Equity and Disparities. 2011; Available from: http://www.minorityhealth.hhs.gov/npa/templates/browse.aspx?lvl=1&lvlid=34. American Public Health Association. Health equity. 2015; Available from: https://www.apha.org/topics-and-issues/health-equity. World Health Organization. Metrics: disability-adjusted life year. 2015; Available from: http://www.who.int/healthinfo/global_burden_disease/metrics_daly/en/. National Institutes of Health. Estimates of funding for various research, condition, and disease category (RCDC). 2016 [cited 2017 May 11]; Available from: https://report.nih.gov/categorical_spending.aspx. National Institute of Mental Health. US Leading Categories of Disease/Disorders. 2013 [cited 2017 May 11]; Available from: https://www.nimh.nih.gov/health/statistics/disability/us-leading-categories-of-diseases-disorders.shtml. SAMSHA-HRSA for Integrated Health Solutions. Trauma. n.d. [cited 2017 December 4]; Available from: https://www.integration.samhsa.gov/clinical-practice/trauma. Substance Abuse and Mental Health Services Administration. Trauma-informed approach and trauma-specific interventions. 2015 [cited 2018 April 25]; Available from: https://www.samhsa.gov/nctic/trauma-interventions. EQUIP Health Care. Trauma-and-violence-informed care (TVIC): a tool for health and social service organizations and providers. 2017 [cited 2018; Available from: http://www.equiphealthcare.ca/. EQUIP Health Care. Top 10 things your clinic, practice, or department can do to create a welcoming environment. 2017 [cited 2018; Available from: Retrieved from http://www.equiphealthcare.ca/. National Association of Community Health Centers. PRAPARE. 2018 [cited 2018 April 25]; Available from: http://www.nachc.org/research-and-data/prapare/.